The Great Fire Of 1910 Places The Current 2012 Fire Season In Perspective | Climate Science: Roger Pielke Sr. This summer promises to be a season of high danger. The upcoming heat wave (see) is certainly going to dry out the forest even more than it current has. 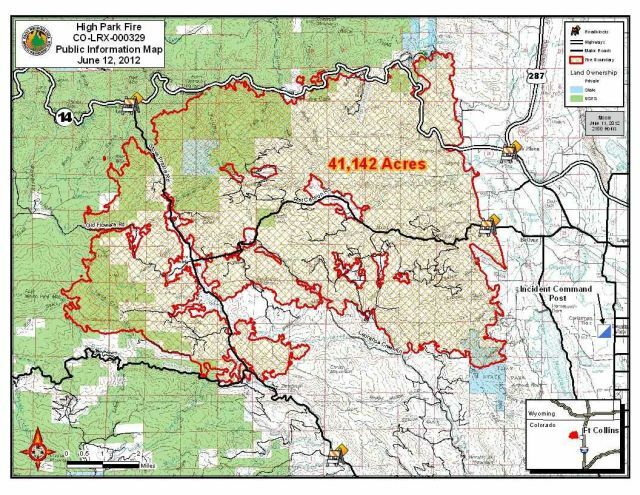 Colorado has already experienced a fire of 52,068 acres as of June 15 west of Fort Collins (see also). The Great Fire of 1910 (also commonly referred to as the Big Blowup or the Big Burn) was a wildfire which burned about three million acres (12,000 km², approximately the size of Connecticut) in northeast Washington, northern Idaho (the panhandle), and western Montana.